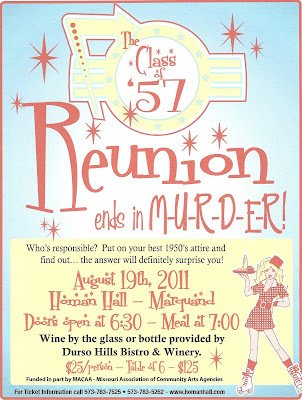 I know you have read several of my articles about Homan Hall in Marquand, Missouri and how great it is, how beautiful it is, and that I want to go see a show in it. On my last trip to Marquand, I had the pleasure to meet the some of the folks behind the work. They had no clue I was coming or even who I was, so I am sure I caught them by surprise when I just dropped by and started asking a thousand questions. However, guess what all my questions got the answers I wanted, and now I can share the information with you! I cannot tell you one reason why you should not drive to Marquand, MO it is more than just what is there it is the community has a whole. The people of the community are so eager to have visitors and greet you with excitement, as they are proud of their community. 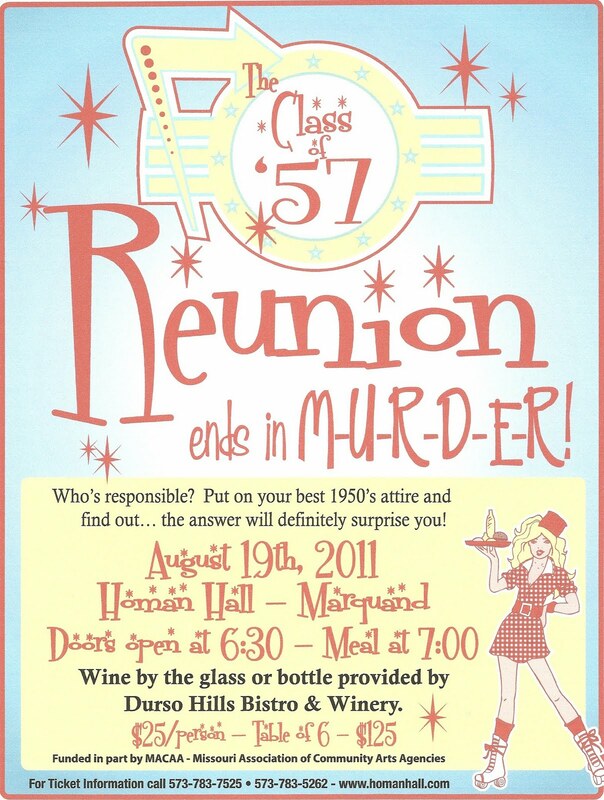 The perfect opportunity for you to visit Marquand and see Homan Hall is August 19 for the Murder Mystery Dinner Show they are hosting. The show begins at 7pm tickets are $25 a person or $125 for a table of six. For ticket information, call 573-783-7525 or 573-783-5262.